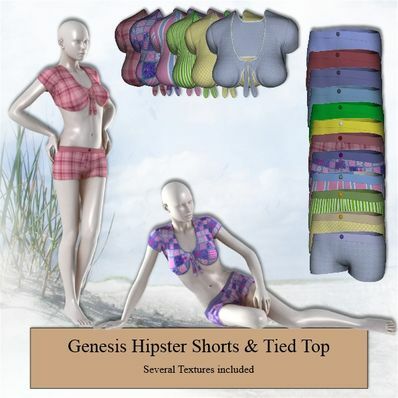 Hipster Shorts & Tied Top for Genesis for use in Daz Studio 4.6. Very nice, but not unusual. Good work though. Very cute and pretty Summer outfit, Wendy. Thanks for creating & sharing these. Just perfect for the beach and still pretty modest as well, thank you! Thank you so much for all the variety and number of choices.